M6 Staffordshire southbound severe accident, between J13 for A449 and J12 for A5 affecting J14 for A34. M6 Staffordshire - One lane closed and slow traffic on M6 southbound between J13, A449 (Stafford South) and J12, A5 (Gailey), because of an accident earlier on and barrier repairs. Congestion to J14, A34 (Stafford North). Christmas has come early for schools in Birmingham thanks to BBC Reclaim Sport - a campaign that has been run by BBC Get Inspired especially for this year's Sports Personality of the Year.. The kit collection initiative, intended to help nurture the next generation of sporting greats in Birmingham, means more than 80 schools and community sports clubs across Birmingham will receive donations - meaning thousands of children will get to enjoy sport with the kit they need. M6 West Midlands southbound severe disruption, between J10 for A454 and J9 for A461. M6 West Midlands - One lane closed and traffic congestion on M6 southbound between J10, A454 (Wolverhampton) and J9, A461 (Wednesbury), because of a broken down vehicle. 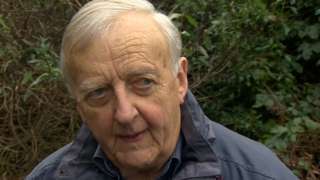 An 84-year-old jogger says he is "very angry" after being assaulted and having his car keys stolen on park land. 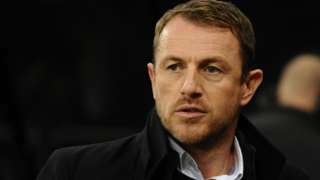 Ex-Birmingham City boss Gary Rowett says he is looking to his next job after being sacked by the Championship side. Footage apparently filmed by inmates of the HMP Birmingham riot has been released. 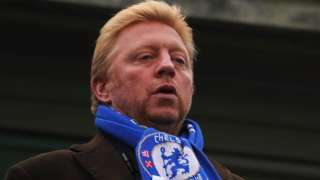 BBC football expert Mark Lawrenson takes on tennis legend Boris Becker in the weekend Premier League fixtures. 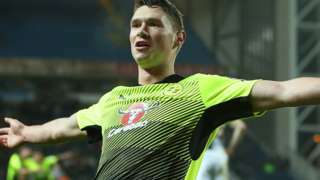 Multiple late winners and a club who cannot stop losing are among five things you may have missed from Saturday's EFL matches. Man Utd boss Jose Mourinho is pleased after a great performance from his "very solid" team as two Zlatan Ibrahimovic goals helped them to a 2-0 win away at West Brom. West Brom boss Tony Pulis is disappointed that his side conceded two fairly poor goals and rues the fact the Baggies didn't take their chances after losing 2-0 at home to Man Utd. 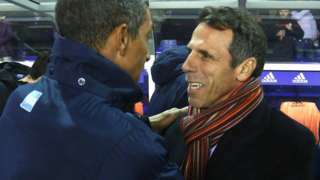 Glenn Murray's stoppage-time header for Brighton ensures Gianfranco Zola's first game as Birmingham boss ends in defeat. Former HMP Birmingham inmate Roy Beckford says Friday's riots followed weeks of building tensions. Bradford have to settle for a point as they lose further ground on the top two with a draw at Walsall. M5 West Midlands southbound severe accident, between M6 J8 and J1 for A41. M5 West Midlands - One lane closed and queuing traffic on M5 southbound between M6 J8 and J1, A41 (West Bromwich), because of an accident. 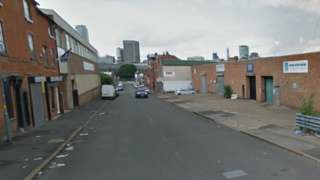 A man dies after a suspected altercation in Birmingham. 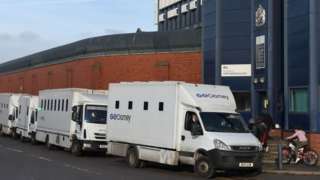 Up to 240 prisoners are being moved out of HMP Birmingham following a 12-hour riot at the jail. 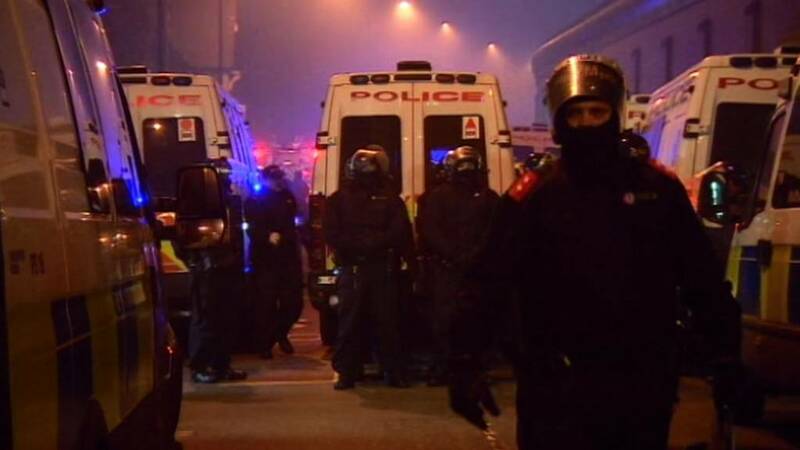 Order is restored at a prison after riots described as "the worst since Strangeways" broke out. 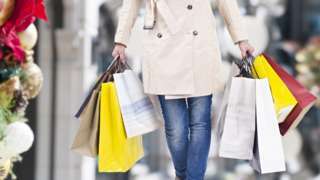 With less than a week to go until Christmas many of us will be panic-buying gifts. Here are some tips to make it less stressful. 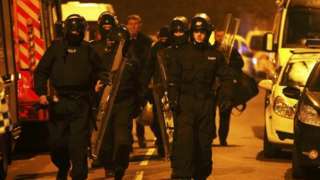 That's all for our coverage on the riot at HMP Birmingham.